Bajaj Dominar 400 is one capable machine with hundreds of benefits when compared to other bikes around its price. 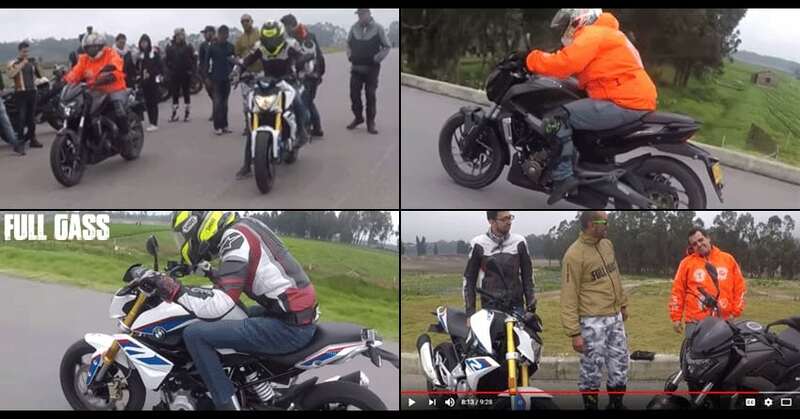 The limelight was stolen from this capable sports tourer by none other than the BMW G310R in this drag race video. FULL GASS planned a drag race for both these bikes and results were pretty shocking for Bajaj’s most powerful machine. 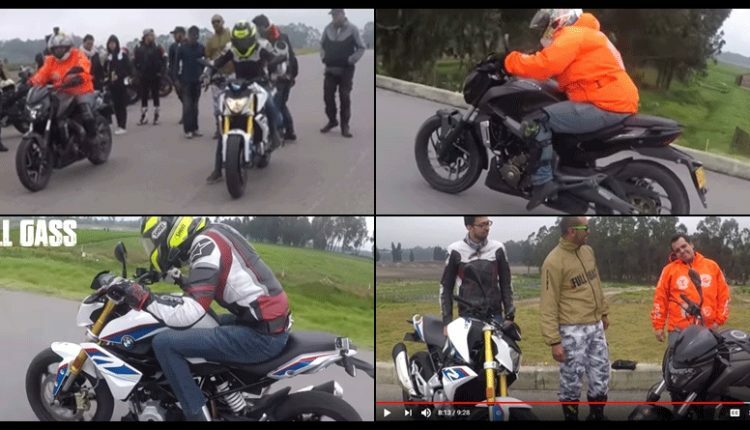 Better acceleration on the BMW G310R is a result of lightweight body construction while Bajaj Dominar carries a lot of extra weight for such short burst races. The higher power to weight ratio of G310R is one great way to achieve head-turning red light starts. Bajaj Dominar 400 produces a lot more torque with its bigger 373.2cc, liquid cooled engine but 182 kg of wet weight is almost 24.5 kg higher than its rival. Also, gearing plays an important role while drag racing and BMW seems to have efficient ratios for an almost wheel lifting start. BMW G310R is powered by a 313cc, single cylinder engine producing 34 HP at 9500 rpm and 28 Nm at 7500 rpm. It was recently launched in India for INR 2.99 lakh while Bajaj Dominar 400 can be had for almost half this price in India. The difference in price makes them almost incomparable in real life. BMW G310R is being manufactured at the TVS facility in Chennai and still it is priced on the higher side. The brand also launched the G310GS in India for INR 3.49 lakh (Ex-showroom India). Bajaj Dominar 400 is a value for money product with 35 HP of maximum power and 35 Nm of torque. It primarily rivals Mahindra Mojo in its segment. Buyers also consider going for Yamaha FZ25 as this lightweight street machine has similar acceleration numbers. However, the bigger engine on Dominar 400 is good for a more powerful top end (higher top speed). Bajaj will soon launch the updated 2019 model of Dominar in India. It is expected to get upside down forks and an all-new double barrel exhaust. Click here to know more about the 2019 Bajaj Dominar 400.